Only 93 of those hours were solo, the rest had some combination of people, usually Jodie (who got lots of good sleep aloft), but also including epic trips with my Nana, my buddy Ryan, and my dad. I think the trips home for Christmas were my favorite. I still remember a return trip, the morning after a cold front passed through and dumped twelve inches of snow, followed by a strong high pressure system. We took off between snow banks in Worcester, Massachusetts, with winds gusting to 30 knots, into stark blue skies and saw silky smooth ground speeds in the mid-190s as we passed NYC. 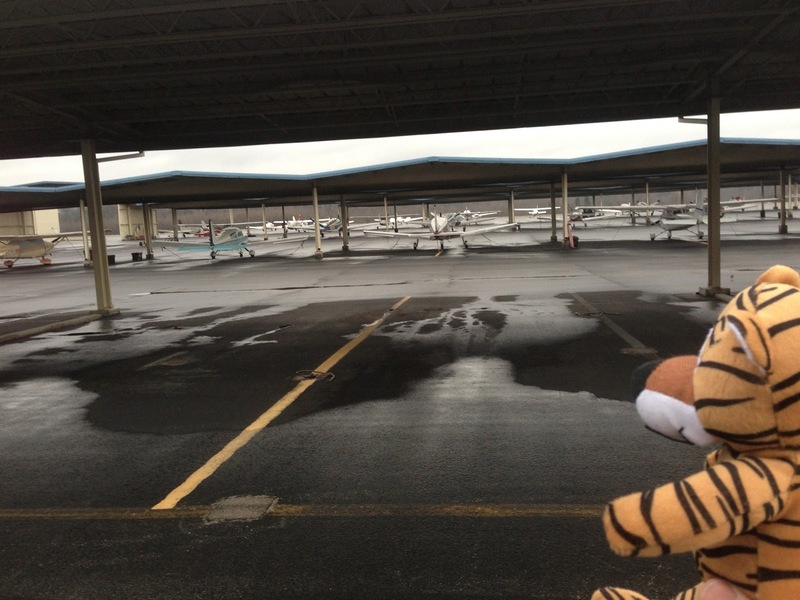 The Tiger is a great airplane. But there's an economic reality to it, which is that unless you're flying more than a certain amount, the cost of owning an airplane all to yourself is just not worth it. And when our kids showed up, everything changed, including the amount I'm flying. I'm no longer looking for business travel opportunities, the school year keeps us rooted much of the year, and school tuition and other kid-related things put a damper on the affordability of keeping the plane just to have it. So.... Sayonara, Tiger. The new owner, Bill in Texas, drove in with his wife, flew it home, and emailed at his first rest stop: "WHAT A GREAT PLANE!" Yes, Bill. I know. Thanks. He and his wife are going to get it painted, which it deserves. And they'll use it to visit their kids, who have moved out, not in. And we.... Well, we'll figure something out. Can't stay on the ground, you know. I passed my 100 hour mark in the Tiger; will always remember her and our flights together fondly.